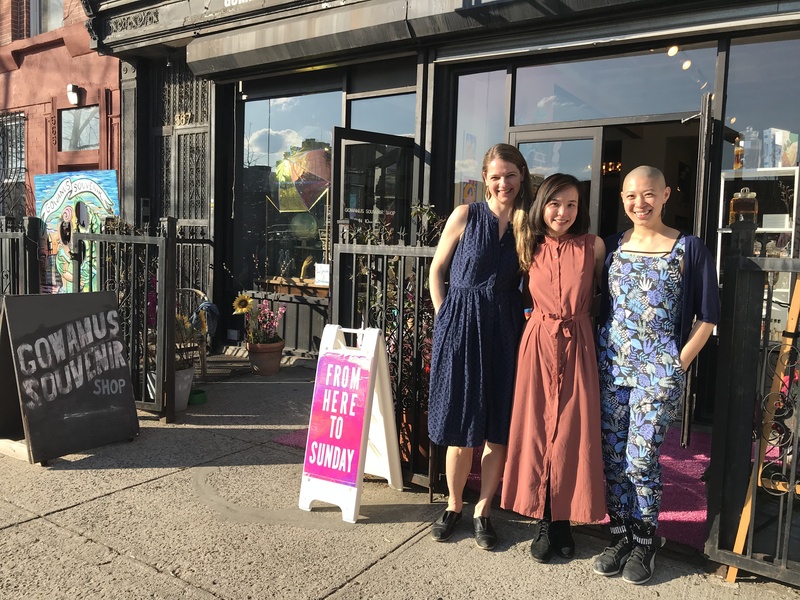 GOWANUS – Gowanus Souvenir Shop and From Here To Sunday hosted a housewarming party Saturday afternoon to welcome a new vendor into their Union Street storefront. 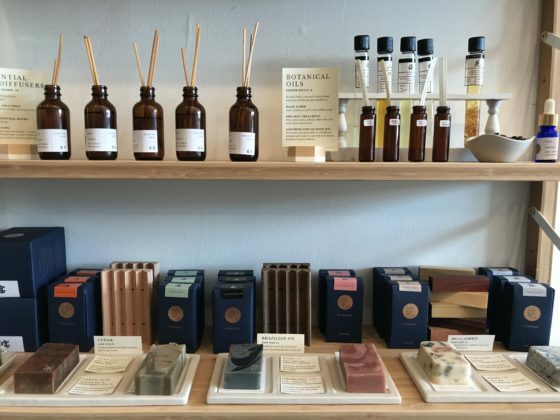 Even Keel, maker of all-natural handcrafted bath and skincare products, officially joins the Gowanus Souvenir family. “It was a lucky coincidence,” said En Tsao, founder of Even Keel. “I was looking for a new studio space that was a little bigger and they were thinking about re-shuffling their space.” Tsao launched her skincare line which “infuses Eastern Roots and Western Herbs” two and a half years ago. She previously worked at studios in Bushwick and Greenpoint before moving to Gowanus. 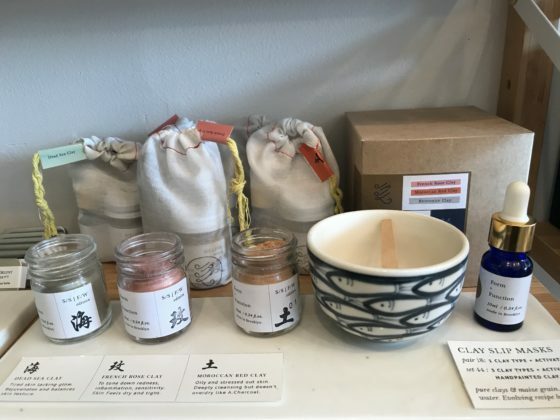 She now handcrafts her products using natural clays, oils, and botanicals in the back of Gowanus Souvenir, selling small batches of soaps, masks, oils, and salves at the shop as well. 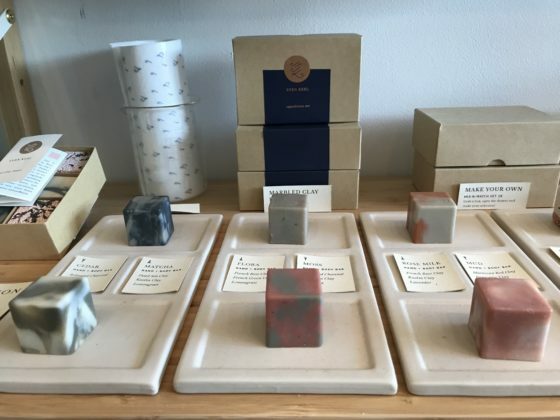 Gowanus Souvenir Shop originally started as a three-month art project at the former Proteus Gowanus (543 Union). “The idea was to do a souvenir shop for Gowanus, a toxic waste site,” Zimmermann said. 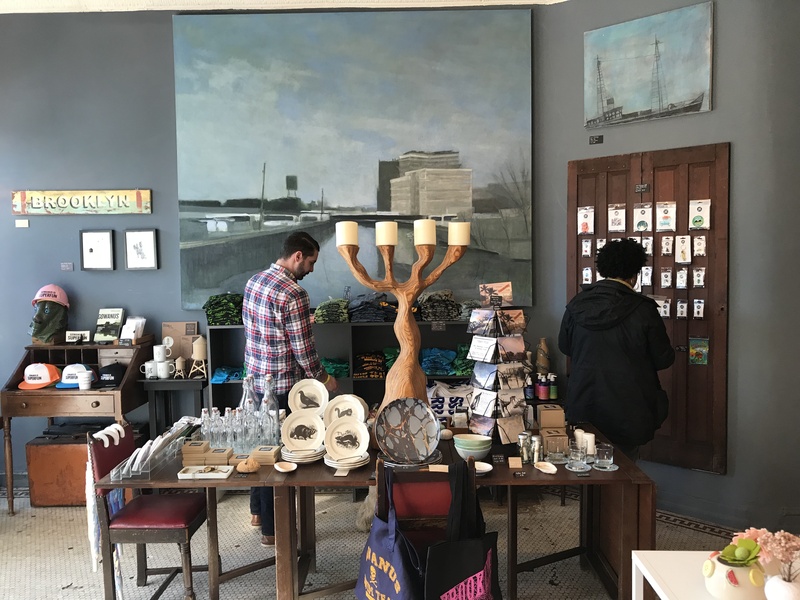 “The plan was to work with local artists and makers to come up with custom products that sort of poke fun of the idea of a souvenir shop and the canal in a loving way. We had so much fun and the response was so good that we kept going and then eventually moved into this space.” Gowanus Souvenir debuted at 567 Union Street in Summer 2016. The shop’s most recent custom-made neighborhood item is the Gowanus Landmarks Map. 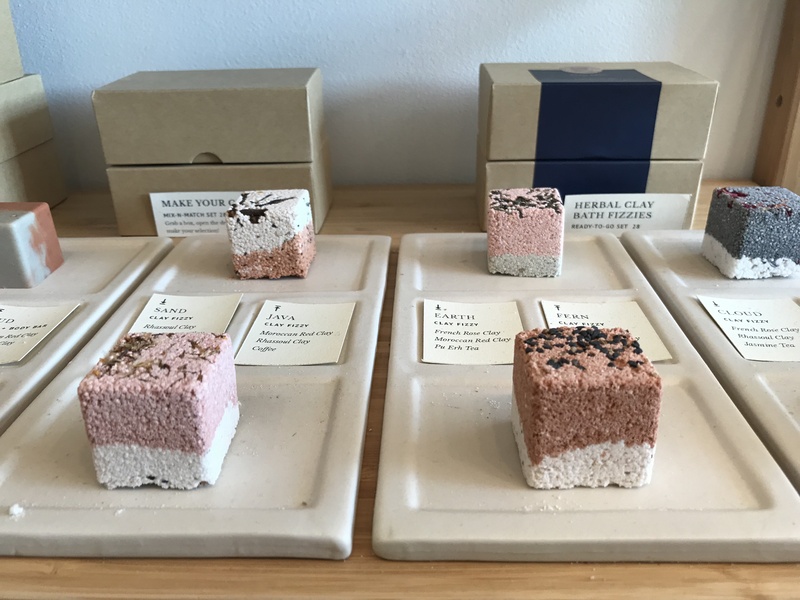 In February 2018, Zimmermann invited Diana Ho, a former Gowanus Souvenir shop assistant, to open a three-month residency at the storefront, offering Ho half of the space to create a brick-and-mortar version of her online shop From Here To Sunday. Ho’s shop features a curated selection of small-batch goods including baked treats, limited edition artwork, clothing, and Tsao’s Even Keel products. From Here to Sunday’s short-term residency was so successful that both business owners decided to extend its stay. “We tried it out and it seemed manageable but I realized that I only needed half of that space, so I ended up just taking a quarter on a permanent basis and it worked out for both of us,” said Ho. The top four herbs that Tsao likes to incorporate into her products include comfrey (a topical herb that “aids the speed of healing”), horsetail (which is “high in silica, another good property for skin”), calendula, an anti-inflammatory, and rose hips, which help with anti-aging. She sources her herbs from small organic farms. 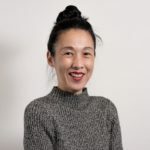 Tsao decided to name her company Even Keel based on her goal to lead a more even keel life herself—leaving the stress of the corporate world to do something more meaningful and rewarding. “That was the reason I started Even Keel—to try to be more balanced in life instead of working all of the time in front of the computer,” she said. 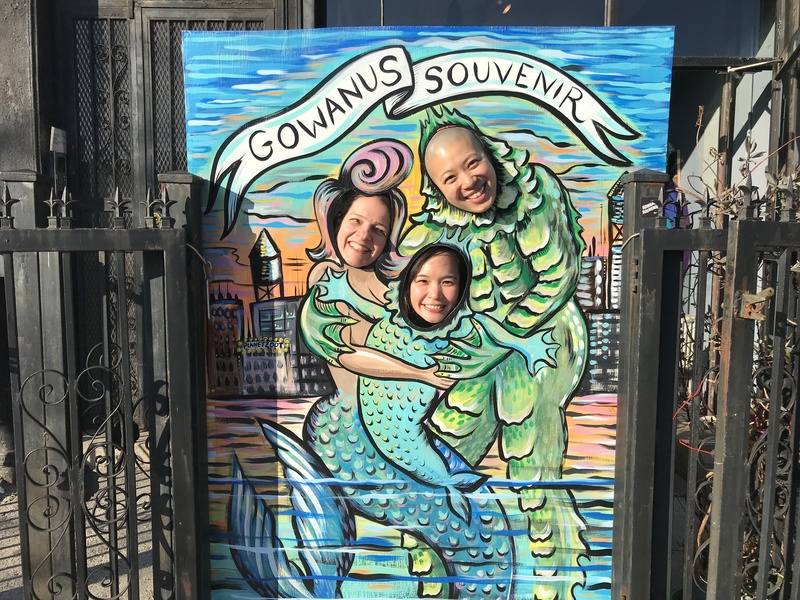 The Williamsburg resident is excited to work in Gowanus and looks forward to exploring the neighborhood this summer.